This movie is truly a classic. 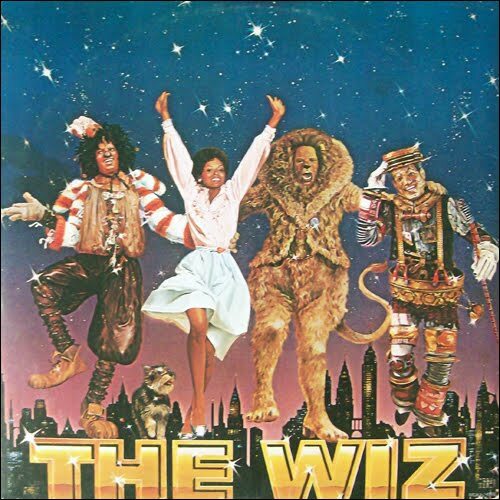 It’s a film adaption of the stage play of the hit broadway play “The Wiz” which was based of the cult classic “The Wizard of Oz”. It’s cast included some of the premiere African American actors/singers of the day including Michael Jackson, Diana Ross, Richard Pryor, Lena Horne and more. The movie was initially panned by many critics and movie goers but over the years it has developed into a classic in African American Cinema. This was the breakout film for Michael Jackson. He truly was truly the reason the movie had any sustainability and every scene with him in it was magical. It’s also one of the few films I enjoyed seeing Diana Ross ..LOL. the other movie was “Lady Sings the Blues” (which she should have won an Oscar). The best part of the movie was the music (mastered by the Legendary Quincy Jones and Ashford & Simpson) and the soulful dance sequences. If you don’t have it in your DVD collection, GO GET IT!! !